Importing footage is an essential and often time-consuming part of the editing process. 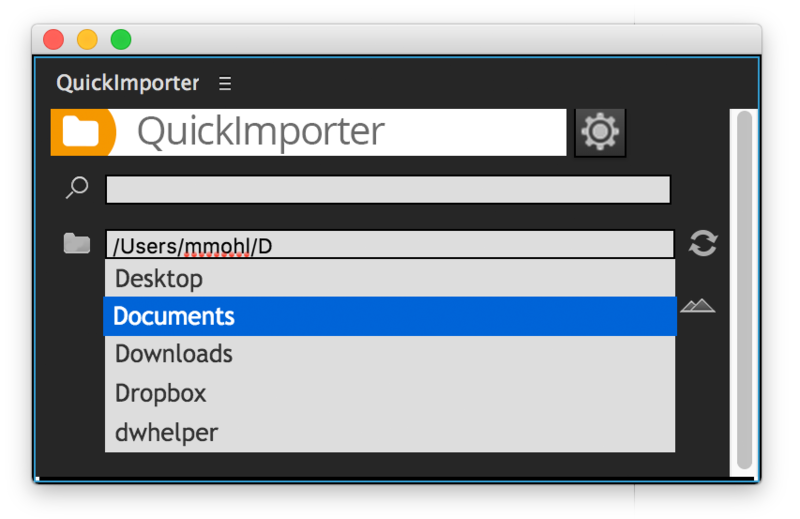 With QuickImporter you get a next generation file import dialog with super fast & fuzzy keyword search with a built-in audio player. It makes searching through large footage libraries a breeze. super fast & fuzzy search instantly search through thousands of files and find what you want - even with typos in your search term. 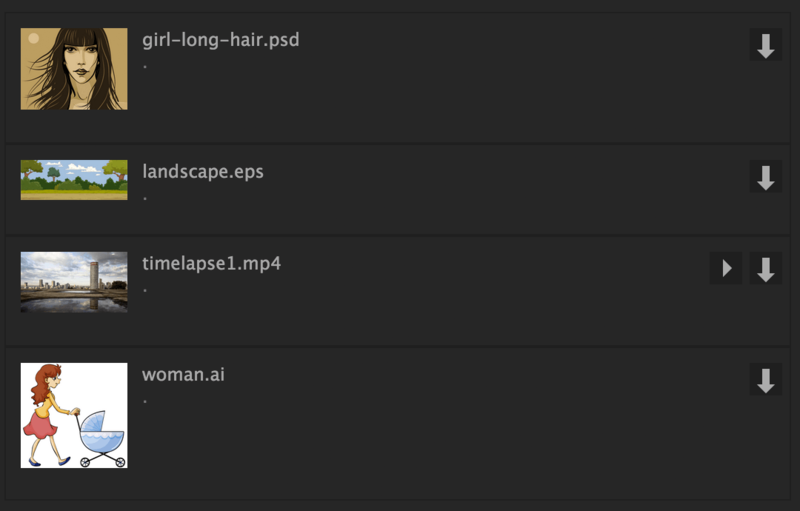 Thumbnails in QuickImporter are based on MacOS Quicklook. 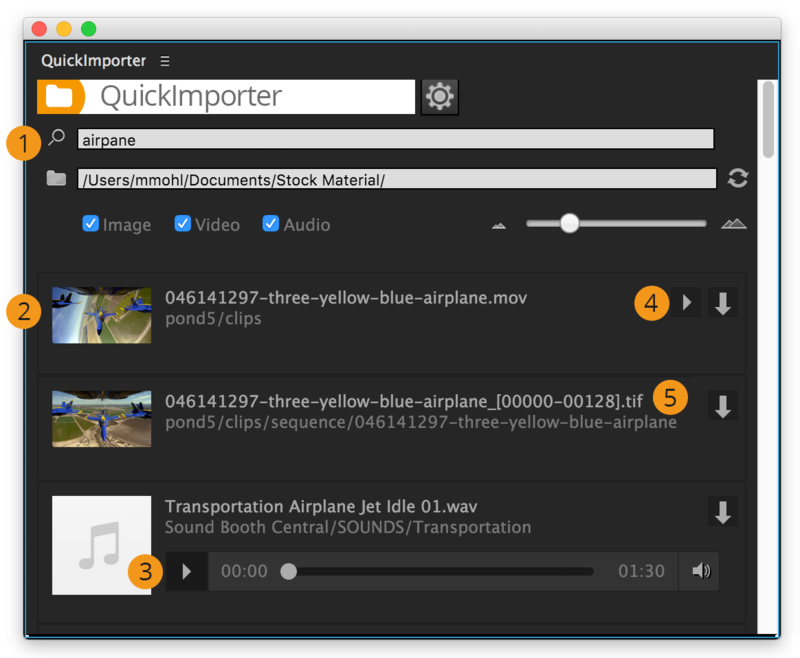 This means QuickImporter supports thumbnails for a huge variety of file formats including psd, ai, eps and most video formats. More precisely, whenever MacOS finder is able to show a thumbnail for a file, QuickImporter is able to show it, too. If you don't get a thumbnail for a particular file format, you can check whether there exists a quicklook plugin for it. Quickly navigate to your footage folders thanks to favorites, recent folders and the auto-complete system.